Egypt’s Wildlife, Past & Present in English & Arabic! This colorful book combines the artwork and text of four of the AUC Press Nature Foldouts: Egypt’s Flora & Fauna, Birds of the Nile Valley, Ancient Egypt’s Wildlife, and Egypt’s Prehistoric Fauna. Including striking full-color illustrations, photographs, diagrams and maps, and information from leading scientific experts, this book is a great introduction to Egypt’s unique natural history. 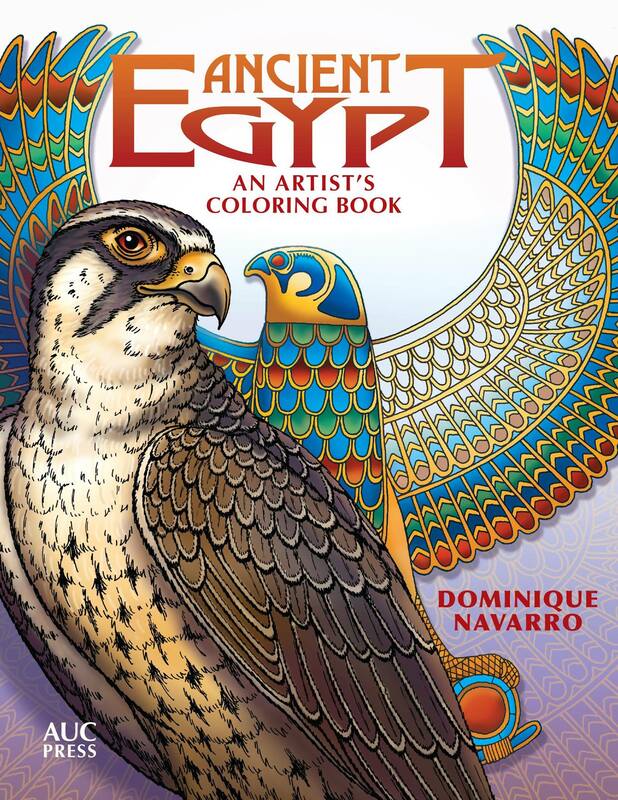 MORE than just a color book for adults and children of all ages to enjoy, Ancient Egypt; An Artist’s Coloring Book describes ancient Egypt color theory, including the history of primary colors in the Egyptian palette, their meaning and symbolism, to inspire your own artistic coloring choices. Learn fascinating facts about the history of the artwork, animal species, and other interesting information about ancient Egypt. Use your imagination to color, or follow the suggestions accompanying each art panel, including techniques for adding texture, shading, and depth to your artwork. Transform and personalize the black-and-white line drawings into your own unique and colorful art. These full-color foldout guides introduce an exciting selection of Egypt’s animals and plants, from river wetland residents and desert survivors, to venerated animals of the ancients and prehistoric dinosaurs. Water-resistant and compact, they are the perfect travel companions, filled with illustrations, comprehensive text, diagrams and maps.